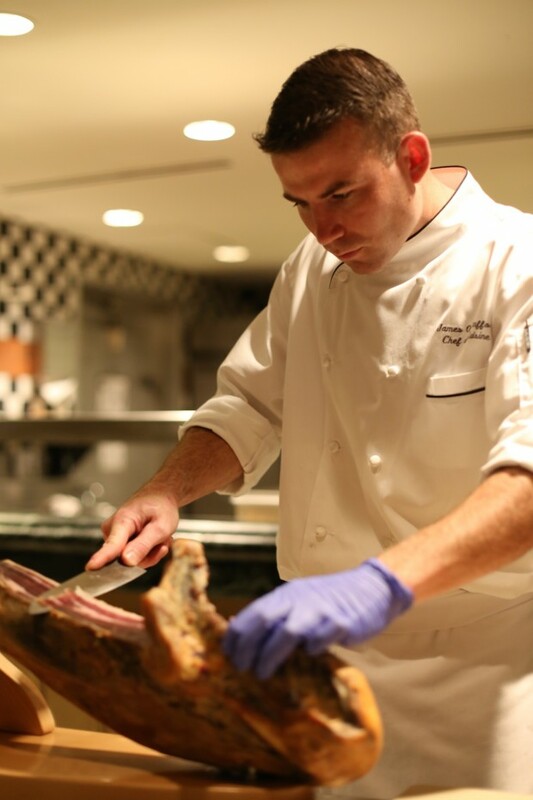 Chef James Stafford, chef de cuisine at Hyatt Regency Orlando’s Fiorenzo Italian Steakhouse, brings to the restaurant a new menu with the flavors of an authentic Italian restaurant and the tradition of a great American steak house. We got to speak with Chef Stafford as part of our new Orlando Chef’s Spotlight Series about where he dines after hours and also about upcoming plans at Fiorenzo’s. Chef Stafford has been a part of Hyatt Hotels Food and Beverage team for the past nine years. A graduate of Hyatt’s Culinary Training Program, Stafford has served as a chef at Manchester Grand Hyatt in San Diego, Calif., Chef de Cuisine at Grand Hyatt Kauai Resort and Spa, and Sous Chef for Andaz Wall Street in New York, N.Y. Chef Stafford has created Fiorenzo’s brand new menu with his own creative twist, featuring signature dishes such as chocolate papardelle, 20oz prime bone-in rib eye, and bison carpaccio. Before Fiorenzo, Chef Jimmy was the Executive Chef for the opening and development of an expandable restaurant concept called Tortilla Republic. Our Heirloom Eggplant Parmesan appetizer – a lighter approach to the traditional deep fried execution, Rosa Bianca eggplant is parmesan crusted on one side and pan roasted, served with local tat soi, and finished with melting burrata cheese and pine nut romesco. The fresh Papardelle al Pepe made by Vanessa at Trevi’s Pasta is paired with our Beef Shortrib Bolognese for another delicious play on a classic. I’m also excited that we now offer freshly shaved Burgundy Truffles or Hudson Valley Foie Gras as additions to our Prime Steaks. Building relationships with local farms via growing synergy for local produce, and we recently acquired a smoker….smoked veal breast anyone? Favorite Orlando Dining Spots outside of Fiorenzo? Inka Grill ( http://www.elinkagrill.com/) for the “leche de tigre” the best ceviche in Orlando… Prato for chicken salad, pizza, and vino tinto… Hillstone for a cocktail at sunset, the pork chop is also ridiculous!! Vietnam Cuisine for a bowl of Pho and a café su da on those rainy afternoons… Taco Express on OBT, the closest thing I can get to the carne asada tacos from my hometown San Diego here in Orlando..